I foster because I know what it’s like to be unwanted. Many of you know that I suffer from disabling migraines. Some of you know that I have a second disability—severe depression. Until 2010, the only stability in my life was instability. All of that changed when I met Lonely Soul. Lonely Soul arrived to American Greyhound in June 2010 in terrible condition. She was suffering from exertional rhabdomyolsis from standing the whole way from Florida to Northwest Indiana. Her body temperature was over 107 degrees, she started having seizures and her future was looking bleak at best. Thanks to some quick actions on the part of our volunteers and some wonderful veterinary care, Soulie survived despite the odds and came home with me that August. Meanwhile, my entire life was falling apart. I was stuck in a terrible marriage. My own family had essentially disowned me. I was lost. I was broken. I wanted to end it, but I realized, Soulie didn’t give up. And, she survived. I started getting my plan together, but I realized I needed to pay American Greyhound back for its role in my soon-to-be new life. I thought about ways I could do it. I didn’t have any extra money. I knew so badly what it is like to be unwanted—I’d been unwanted my entire life from gym class to my marriage–so I decided to foster. How hard could it be to open up my home to one more dog? What Soulie couldn’t teach me about life, fostering certainly has. With every hound that has entered my home I’ve learned something. Sometimes, it something simple like looking on the bright side, or remember to cut loose. It’s taught me patience as I now foster mostly special needs hounds (my current foster is blind and my favorites are the shy ones). It’s brought me a wonderful family, people who have adopted me on holidays both large and small, people whose homes I feel more comfortable in than my own mother’s. It’s taught me to be brave—the girl who used to hide behind a plant at almost every social gathering can now stand in front of a crowd of prominent people in her community and month after month ask them to throw American Greyhound a bone. After seven years and countless foster hounds, I’ve learned so much more than I can list here. Give fostering a try, it won’t just change the greyhound’s life—I promise! 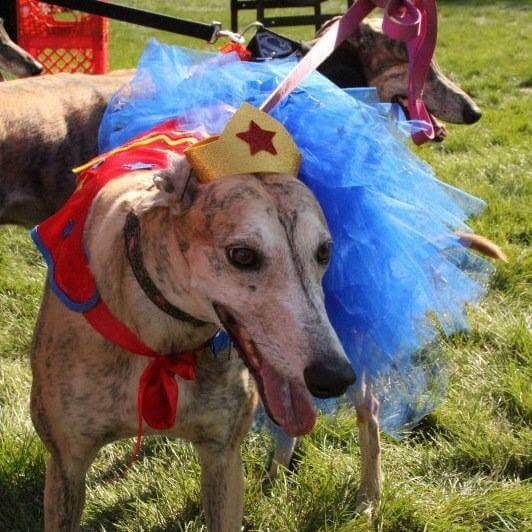 Apply to Foster for American Greyhound today. Make a difference in your own life.